For my first post, I thought I would use a scrap of Aida. I don’t know about you, but I hate to throw things away and I now have a basket of scraps. 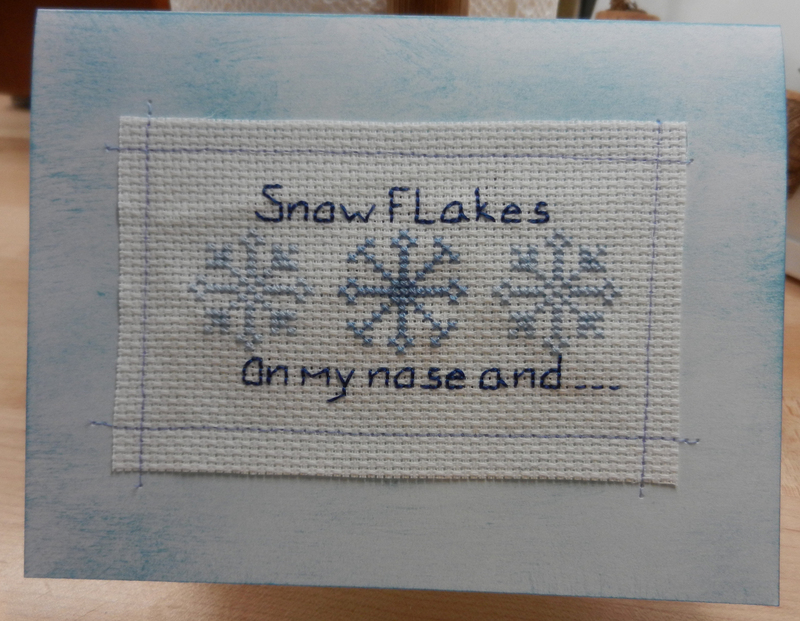 During the last year I’ve made a card or two by grabbing a scrap and cross stitching a heart or flower and “Happy Birthday” and gluing it to a card. 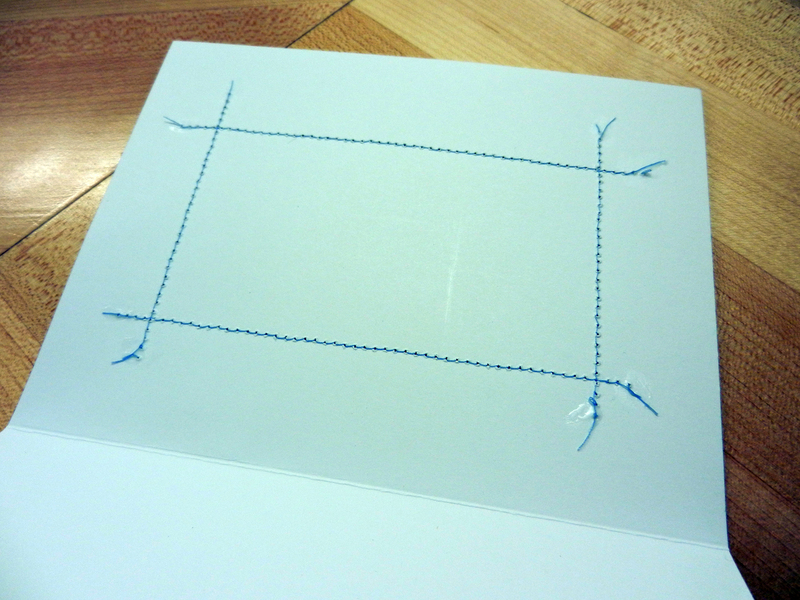 I think it’s fun to make cards if you have the time! 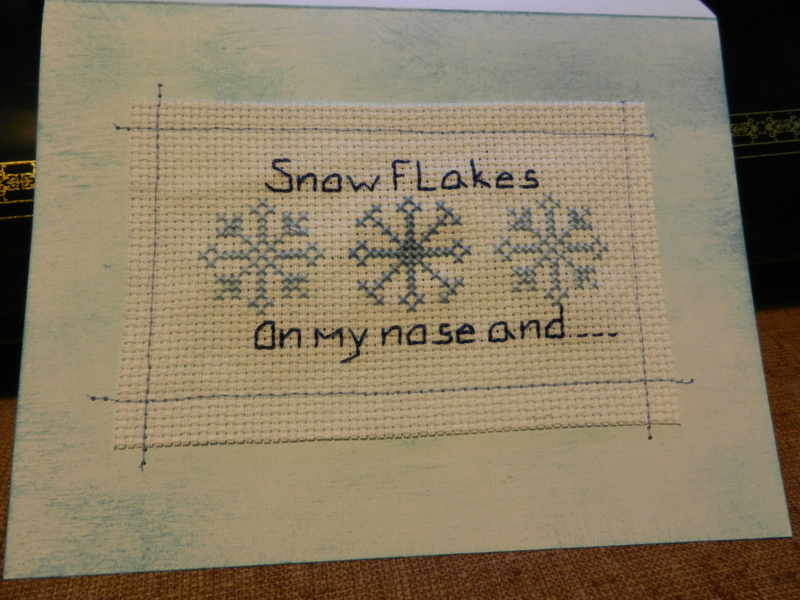 For this card I thought Winter and Snowflakes. 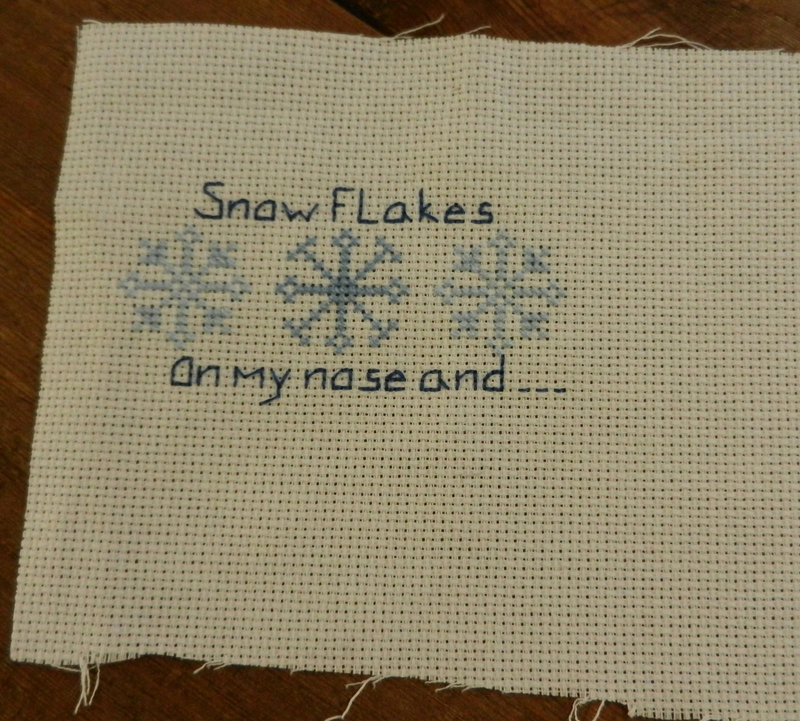 I found some snowflake patterns from an old magazine and started stitching with some nice blues. I took a white card (which measures about 6 1/2 x 5″ – the kind you buy at a craft store) and used a brush and an ink pad to get the look I wanted. 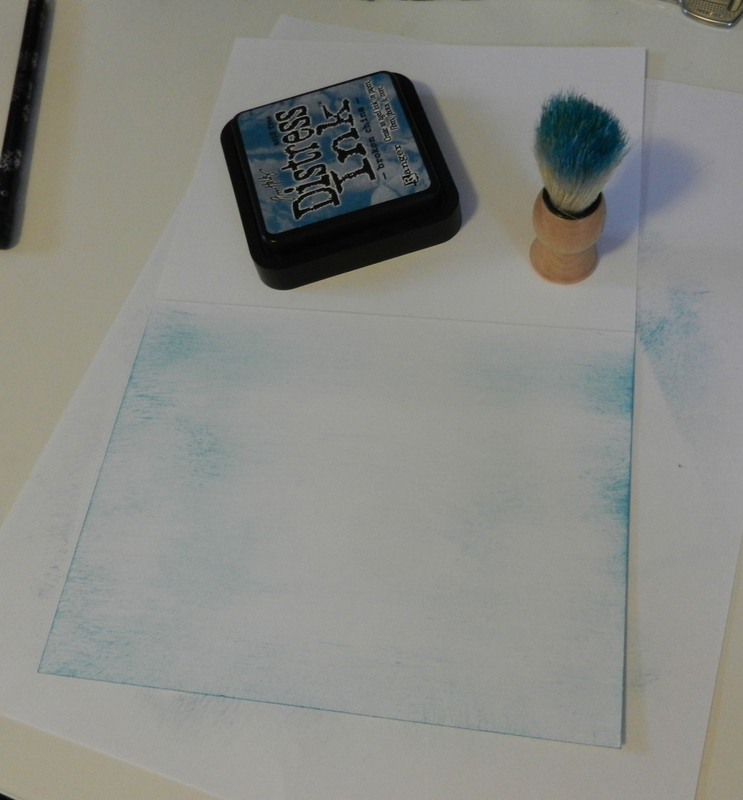 You could also paint your card with watercolors, use color pencils, or ?? lots of options! Looking good so far .. 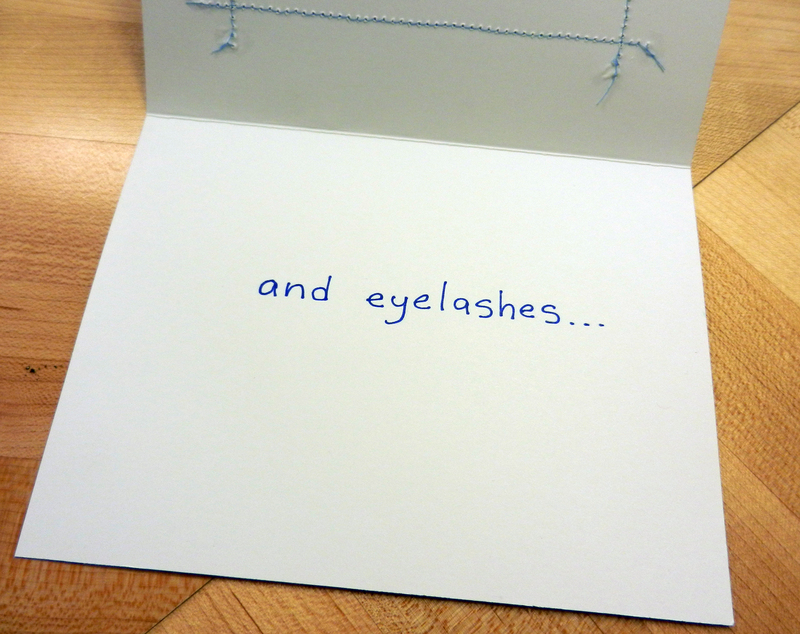 I wrote “and eyelashes” inside .. 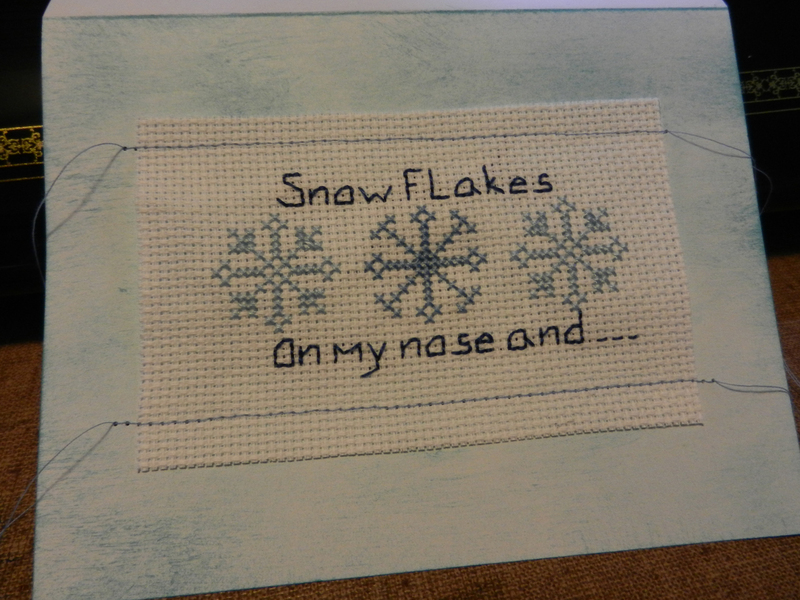 I haven’t decided who I’m sending my card to yet, but I know they will love it! I hope you have fun with all of your scraps and making cards! That is adorable, great idea! Love your idea. 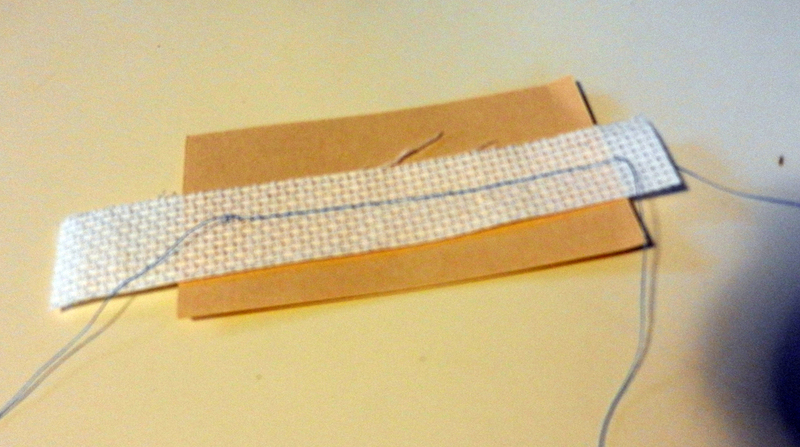 Since I save scraps too, I have a lot of small pieces good for making cards. What a great gift !